The men and women who fill the CNC programmer jobs are certainly not only geeks! In fact, there is no typical person who has the skill to program the 5 axis milling machines, WEDM’s, Sinker EDM’s, high speed milling machines and CNC lathes. 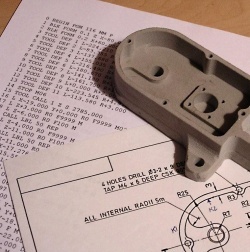 A CNC programmer needs to understand nearly every aspect of plastic injection mold making to be truly efficient. In fact, most CNC programmers have extensive practical experience in the shop. Many apprentices who show an inclination for programming end up as a CNC programmer. Most injection mold making shops have CNC programmer jobs available at almost any given time. This is especially true for someone with Fadal CNC experience, CNC engraving experience, or is competent with CNC CAD CAM programming. 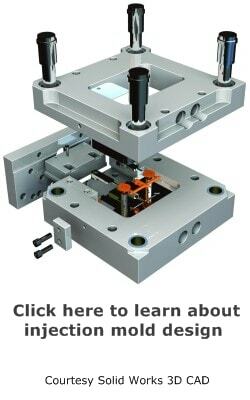 Without the CNC programmer, any modern plastic injection mold making operation grinds to a complete stop-quickly. Do CNC programmer jobs have a good salary? Generally, most CNC programmer jobs pay similarly to that of a plastic injection mold maker. This is true unless the CNC programmer lacks the hands on practical experience from working in the shop. Like anything, employers are willing to pay for experienced people, if it is experience they need. The mold making process is complex and has an aging workforce, which adds more of a premium to the experienced worker. Basically, there are two routes to take. One is to become an injection mold making apprentice, with the understanding that your main interest is in CNC CAD CAM programming. Over time you will be steered more and more in the direction of CNC programming. The other route is to take a course designed specifically to learn the skills required to get one of the CNC programmer jobs you are hoping to win. Some technical colleges offer courses; as well as community colleges and universities. This path can land you a job more quickly because you have a certificate and can begin producing for the company quickly. One path is not necessarily better than the other in the long run though. What about a CNC programmer job description? Obviously, a greater part of your day is in front of a computer monitor. There are also many times when you will need to be at one of the many machine tools you are programming. This variety can provide a welcome respite from sitting all day in front of a computer screen. You also will be communicating with the various machine operators, mold designers and the mold makers. 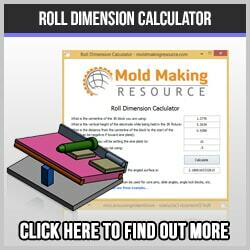 The work of a CNC programmer touches almost every aspect of the entire mold making process. This can make you a hero, or a villain! All in all, it is a challenging, demanding, well-paid, interesting job for the right person. You must be highly detail oriented, methodical, able to visualize and communicate with others.